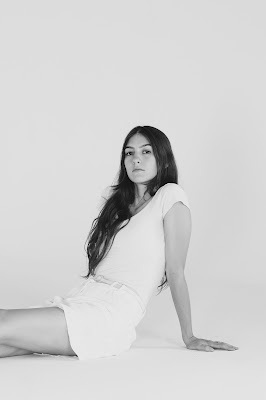 There's something stately and regal about the voice of Natalie Mering. She's the one behind Weyes Blood. And the "band" are set to release a new album, Front Row Seat to Earth this week on Mexican Summer. The record is full of rich beauty and one should pay attention to the work of Ms. Mering. On opener "Diary", with its near-classical musical underpinning, Mering's voice recalls that of Sandy Denny. The remarkable thing here beyond her voice is the material. There is so much to enjoy here, from the gentle folk of "Be Free" to elegiac and austere pop of "Used to Be". Each cut offers seemingly simple arrangements designed to complement Mering's amazing voice. On "Can't Go Home", Weyes Blood recalls the best moments from the work of one-time 4AD mainstay Heidi Berry. On "Away Above", Mering's delivery brings to mind Judee Sill in spots, or even June Tabor. This material would all easily lend itself to a more pretentious presentation but Mering wisely keeps things simple and largely understated. When envelope-pushing elements do enter the material -- like the sound effects on the all-too-brief title track -- they are just embellishments to gently accentuate the material, not overpower it. Mering's voice is such a warm and inviting instrument that any other part of the recording is at risk of being overshadowed. That said, these tracks suit her voice and if a few of them start to sound a bit similar at least the whole effect of Front Row Seat to Earth is a charming one thanks to the moments of rich beauty that seem to arise in each cut. Front Row Seat to Earth by Weyes Blood is a wonderful record and the sort of surprise that the indie world needs far more of. Lush in spots, austere in others, this set of 9 cuts is one of this season's most pleasant surprises and a representation of one of the best voices in the music world today. Natalie Mering, otherwise known as Weyes Blood, has presented appreciative listeners a real gift with this album. Out Friday on Mexican Summer, Front Row Seat to Earth by Weyes Blood is an album you must seek out. More details on Weyes Blood via the band's official Facebook page.